. 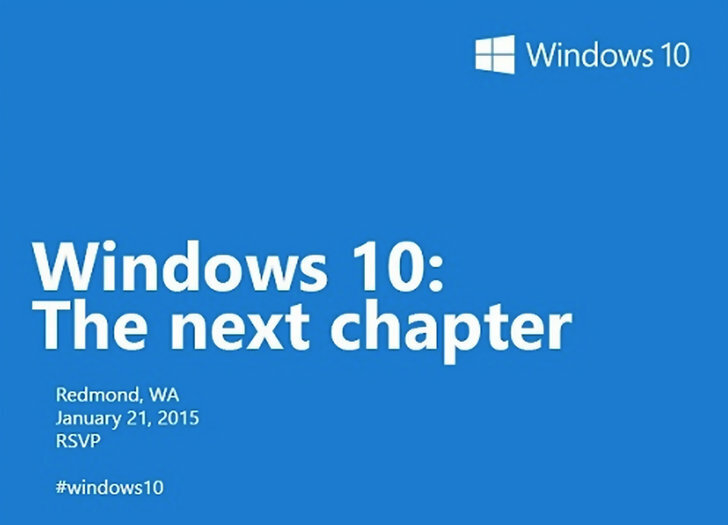 : Windows 10 Will Release On Tomorrow 6 PM | වින්ඩොස් 10 ගැන Hot ම News එක. Windows 10 Will Release On Tomorrow 6 PM | වින්ඩොස් 10 ගැන Hot ම News එක. ~ . Windows 10 Will Release On Tomorrow 6 PM | වින්ඩොස් 10 ගැන Hot ම News එක. Windows 8.1 වලට සමුදෙන්න සූදානම්, Windows 10 පිළිගන්න සියලු කටයුතු සූදානම්. වින්ඩොස් 10 හි Technical Preview එකත් භාවිතා කරලා එහි Bug Windows වෙත දැනුම් දීලා ඔන්න එයාලා අපිට හරියන විදිහටම අලුත්ම වින්ඩොස් 10 දෙන්නලු මේ සූදානම. පැය 2 කට පමණ ප්‍රථම තමා මේ ආරංචිය ආවේ. එනම් හෙට ( 2015-01-21 -@6.00 PM ) සවස 6 ට වින්ඩොස් 10 නිකුත් කරන බවයි. හෙට දින සවස 6(GMT) වින්ඩොස් 10 නිකුත් කිරීමට නියමිත බව දැනට ලැබී ඇති තාක්ෂණික පුවත් මගින් දැනගත හැක. Microsoft will hold a news event on 21 January at 6pm (GMT) where Windows 10 is expected to be unveiled in full with a specific release date. 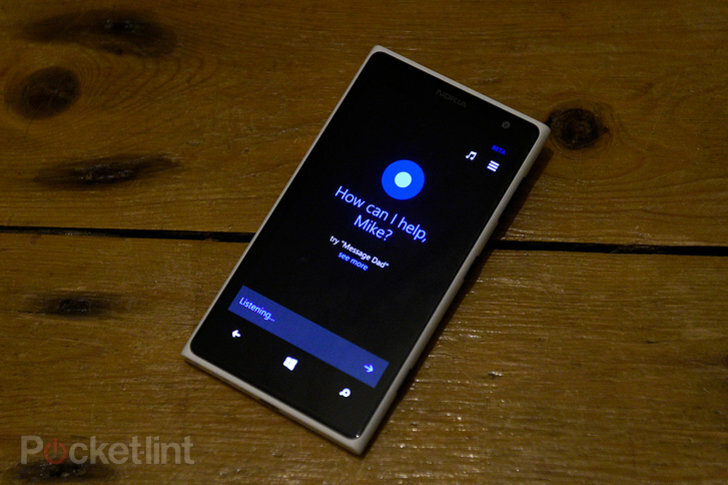 Microsoft's Cortana is the equivalent to Apple's Siri and Google's Google Now. It debuted on Windows Phone 8.1. According to tech website Neowin, which apparently had access to internal Windows 10 builds, Cortana should make it to the final version of Windows 10. It is thought Cortana will be deeply integrated into the OS, likely bringing new search capabilities. 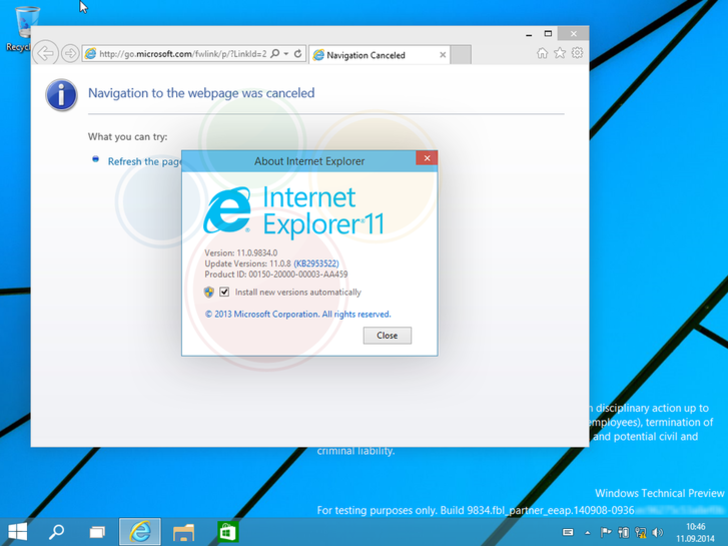 It's not clear how Cortana and Bing will co-exist on Windows 10. The Charms bar, a feature ushered in by Windows 8.1, offers access to quick settings and functions. Although it is considered useful for touch-enabled devices, its effect is lost when a mouse and keyboard are thrown into the mix. Leaked screenshots of Windows 10 builds have shown the Charms Bar will not make it to the desktop and laptop versions of Windows 10. It might not even be included in the tablets and 2-in-1 laptops version of Windows 10. 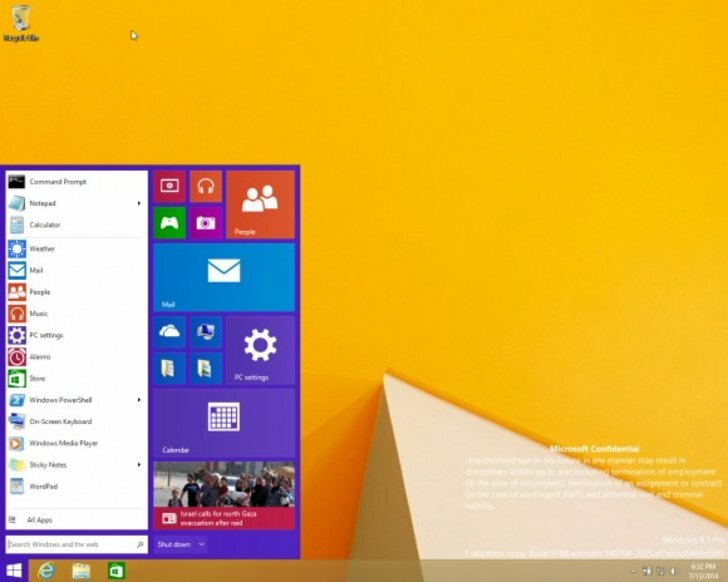 ZDNet has claimed Metro-style windows apps will get title bars with menus and Charm features. Microsoft might nix the Charms bar from a dedicated position on the desktop and instead fold relevant Charms into the title bars of apps. Developers will allegedly need to add enable Charm features for their apps. Teased during the Build 2014 keynote address, the Start menu that disappeared in Windows 8 is officially returning with Windows 10, according to Microsoft. Leaks have revealed the classic Start menu will appear in the bottom-left corner of your screen. 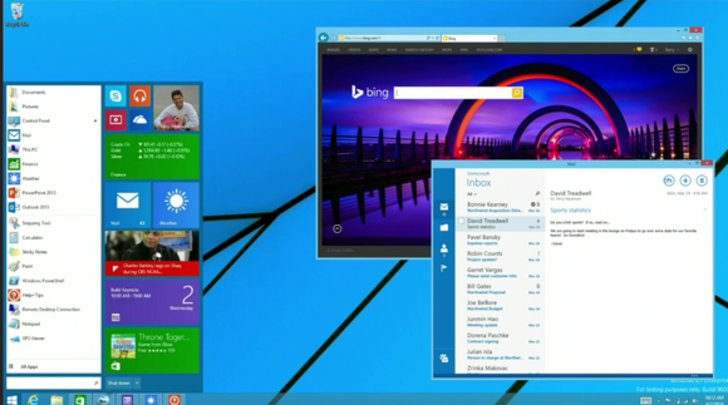 It doesn't take over the entire screen in a tile-layout as it does in Windows 8. The order of things is different from Windows 7's Start Menu. Folder shortcuts are at the top, for instance, and pinned Live Tiles are on the right side of the Start menu, where they can be resized and reordered in a gridview. One last thing: according to a leaked video, the full screen Start menu isn't completely gone and might be accessible through Taskbar. 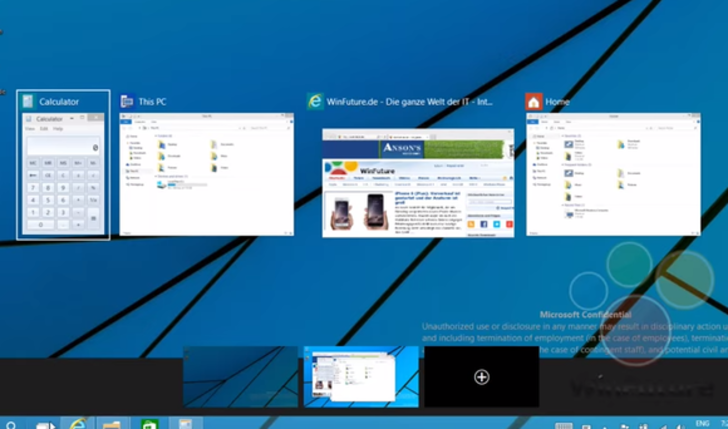 Virtual desktops is thought to be another major change in Windows 10. 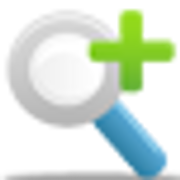 It will allow you to spread your work across multiple desktops, while still remaining on one device. The idea is that you will have an improved workflow, free from clutter. You will likely be able to control or access the feature by clicking an icon on the left side of the taskbar, as several leaked screenshots have revealed. Two German websites, called Computer Base and WinFuture, recently published about 20 screenshots that show off a leaked build of Windows 10. Change included a notification center in the corner, as well as a Start Menu, tweaked Taskbar, and a new search icon near the Start button. 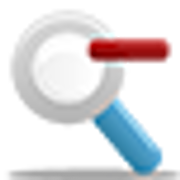 There's even another icon next to the Start button that might lead to the virtual-desktop feature. And finally, WZOR claimed that Windows 10 will focus heavily on cloud computing and even indicated a type of Chrome OS-like operating system that would require an internet connection. ZDNet also described Windows 10 as the bridge between Microsoft's past of big-bang releases and a licensing model to one focused on the cloud. That said, it's not immediately clear how deeply Windows 10 will focus on the cloud. It might just be the first step down a long road of transitions. Keep in mind Microsoft's CEO was formerly responsible for building and running the company's computing platforms, developer tools, and cloud computing services. It's therefore safe to assume Microsoft will want to embrace cloud-computing in the near future. ඔන්න මේ අද Leake වුන videos ටික. මීලගය වින්ඩොස් 10 Full Download Link එකත් සමග හමුවෙමු..